Berger observed that throughout history, mankind sought relief from tension by means of alcohol, opium, hashish, peyote etc. and that meprobamate was unique in that it offered relief from tension free of the excitation, hallucinations, and addiction of the ancient remedies, which compromised their use in our daily lives. Meprobamate became the most frequently prescribed drug in the United States soon after its release and prevailed into the 1960s. Berger was born in Pilsen, West Bohemia, in 1913 and completed his medical training at the University of Prague in 1937. He then worked as a bacteriologist in the Czechoslovak Institute of Health until the German occupation in 1939. 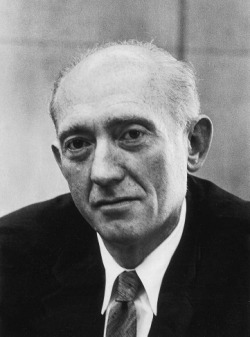 He Berger came to the United States in 1947 as an assistant professor of Pediatrics at the University of Rochester Medical School, where he pursued the search for a more slowly metabolized mephenesin-like drug. In 1949, he moved to Carter-Wallace Laboratories as the Director of Laboratories and was joined by a talented chemist, Bernard Ludwig.